Create a tradition that will help instill a wonderful habit in your children...one we all could be better at. 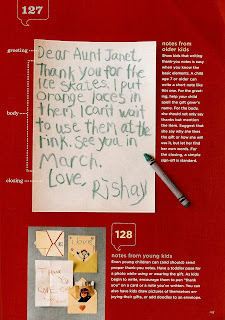 Help your child write thank yous to those they received gifts from. Teach them the basic break-down of a letter: greeting, body and closing.